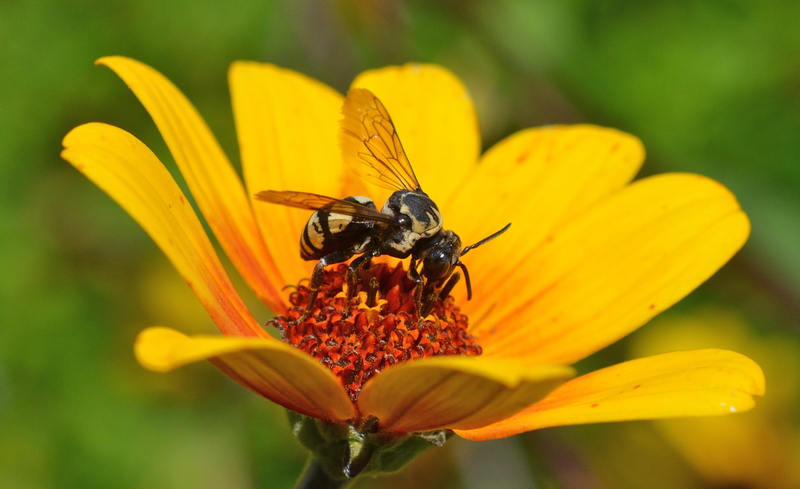 Cuckoo bees are “cleptoparasites,” laying their eggs in the brood cells of other bees. 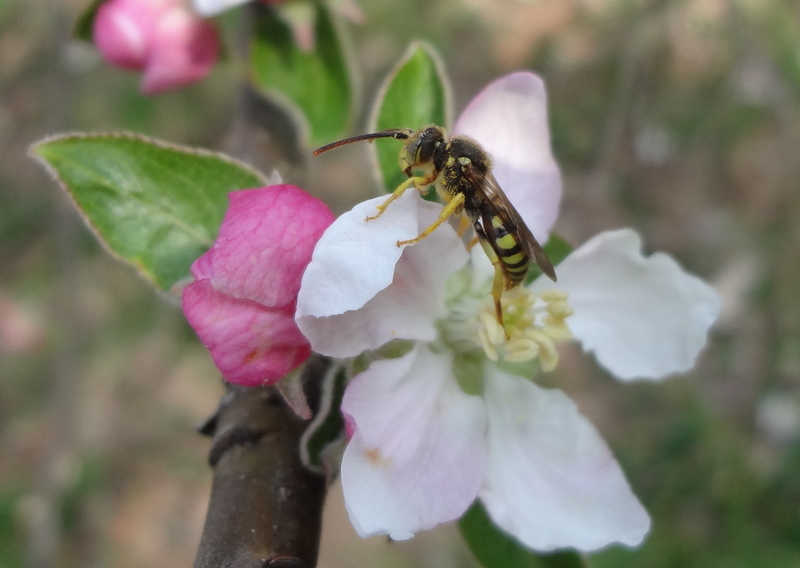 Cuckoo bees lack the pollen collecting hairs of host bee whose nest they pirate. When the host bee goes foraging for pollen the cuckoo enters the brood cell to lay her own eggs. In the nest, the newly hatched cuckoo larvae are mobile enabling them to kill the host larvae with a sickle-like mandible that shed after the first molt. The cuckoo larva then feasts on the “bee bread” and matures to an adult. This bee is a cleptoparasite of mining bees. 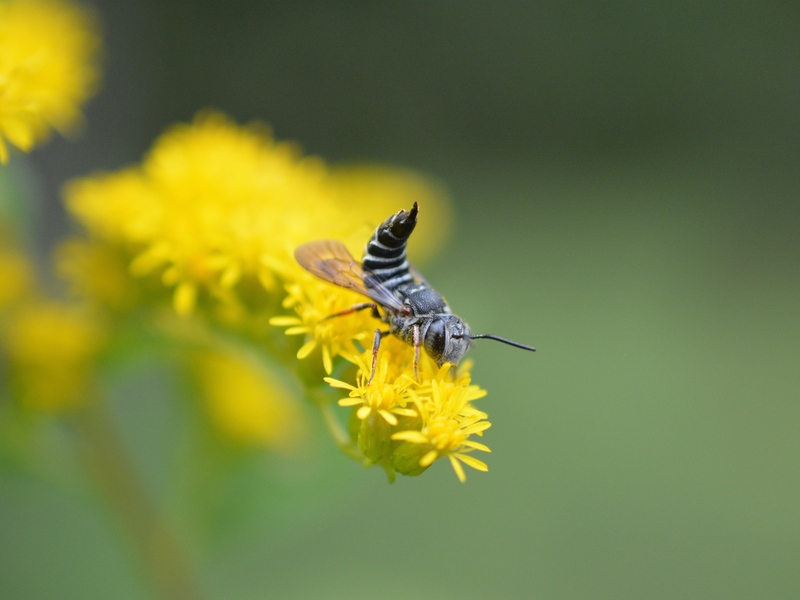 These cuckoo bees are cleptoparasites of long horned bees. 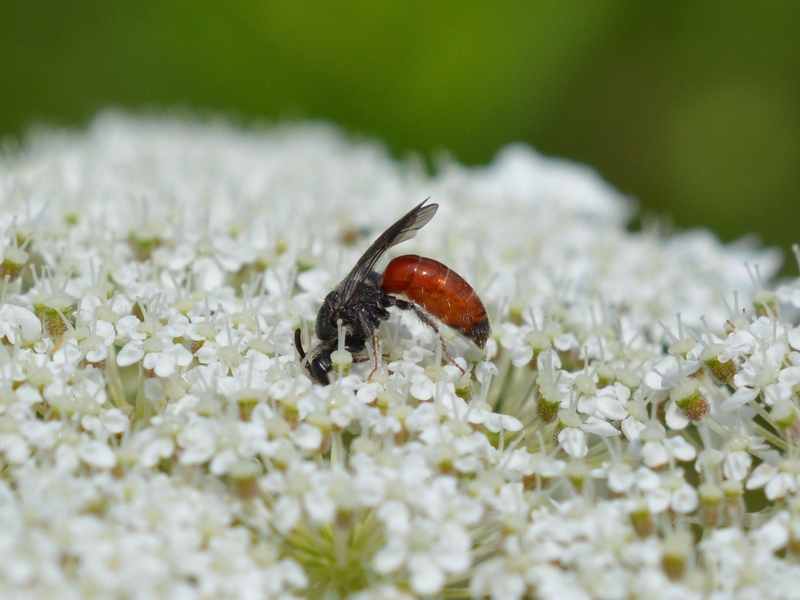 Cuckoo Bee – Sphecodes spp. This bee is a cleptoparasite of sweat bees. These bees mimic leaf cutter bees and their long tapered abdomen is suited to break through leaf cutter brood cells to lay their eggs. Native North American Honey Bees?